For newcomers to the market, the term “real estate investing” often conjures up two thoughts: “That sounds like a good idea” and “I wouldn’t even know where to start.” Don’t be intimidated. Real estate doesn’t require market expertise or advanced degrees in economics. All you need is starting capital and good guidance. This article is meant to motivate those of you sitting on the investment fence. Perhaps you have the money, but not the confidence. 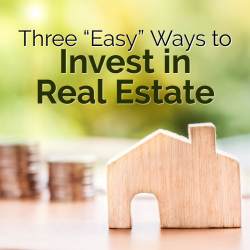 Below are three of the most straightforward ways to invest in real estate. All require work, patience, and maybe even some sacrifice, but the eventual returns can be well worth it. If you have the money to invest in cash-flow properties the first thing you want to do is pick a great location. For long-term equity growth, a residential property in a good location is key. Immerging areas are also good. A bad neighborhood today can be the trendy new spot in 5 years. Don’t be afraid to start small. You don’t need an entire apartment building – instead look for single units or a duplex. Whatever the size, make sure to properly estimate the number of repairs needed to the building. Upkeep can be the black hole of real estate investing. Take choosing your tenants seriously. A bad resident can literally ruin your returns. Credit and income checks are a must, along with background checks and employer verification. Going off “good vibes” alone is a risk you don’t want to take. Some investors choose to live in a unit on the property. This can be a great way to save money while developing a stronger relationship with your tenants. Above all, know thy numbers. An accurate estimate of the rental income and leasing costs is crucial to gaining a return. Betting on appreciation alone is not a good idea. Your monthly expenses will include a mortgage, taxes, insurance, on-site maintenance and insurance. A down payment of around 20% will also be required for financing. One way to lower maintenance costs is to require tenants to pay a deductible for all services. This can go a long way in drastically reducing the number of requests. Don’t want to deal with tenants? Then perhaps buying a fixer-upper is more up your alley. This is also known as house flipping. Basically, you buy a property in need of love, renovate it for as little as possible, then resell for profit. This type of investing requires a lot more math to achieve success. You must have an accurate estimate of repair costs so that you can plan accordingly. Unless you have a contractor in the family, this can be difficult to do. Often people bring in a partner to both ease the risk and to help plan out the renovations. Time is also a factor. The longer you hold on to the house the more mortgage you’re paying. Like with rental properties, many people choose to live on location to help lessen the cost. It may not be glamorous, but your bank account will thank you. With housing shortages in many major cities, more and more people are content with apartment life. Not only is it cheaper, it’s often the only option for residents who are unable to afford the initial costs. However, if it is within your power to do so – buy! This may mean sacrificing fancy dinners and summer vacations, but the reward is worth it. Renting does nothing more than line your landlord’s pocket (which is great if you end up being a landlord one day). Investing in a house or condo is the American dream for a reason. Not only does it feel good, it allows you to build equity. The housing market is volatile, and there is no guarantee that you will make money over a five or even ten-year period, but over twenty years, the value of the home tends to go up. In large markets like LA, just 3-5 years can mean up to a $100,000 increase in your property. Knowing your potential down payment is the first step in helping plan for the future. In many markets, upwards of 20% is required. This means in a city like In Los Angeles, to buy a $680,000 home your household income needs to be in the ballpark of $138,000 per year. That number can seem overwhelming, but if you are married or living with a partner, that’s under $70,000 each. If that falls outside your means and buying a house is still top on your list of priorities, you may want to consider looking in smaller, more affordable cities. The commute to work may be longer, but you can spend that time thinking about how good it feels to own a home. It really helped when you talked about now knowing your potential down payment is the first step in making a plan for the future. My younger brother is looking to do some real estate investing so he can start building equity. I think I will talk to him about hiring a professional to help him with the first few steps. 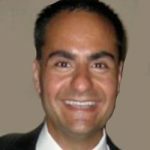 Real Estate Investing - How to Increase Your Personal Cash Flow?